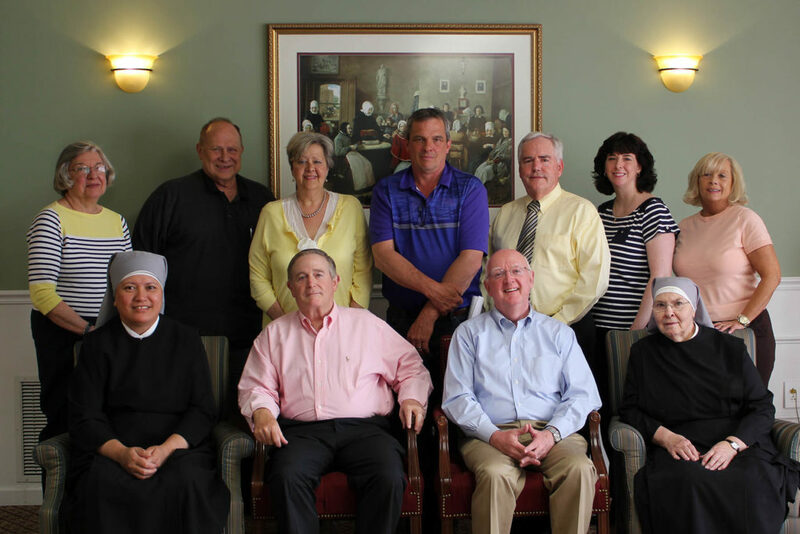 The Little Sisters of the Poor will host their twelfth annual golf tournament Saturday, June 9, at the Scranton Municipal Golf Course, Mount Cobb. Several types of golf and sponsorship packages, which are great advertising vehicles, are also available including hole signs for $100 and sponsorships of $250, $500, $750 and $1,000. There also will be a grand raffle of the Sisters’ famous gift baskets with numerous prizes valued at over $100. For more information, please contact Mrs. Jackie Galvin, M.S., director of development and communications, at (570) 343-4065 ext. 3144 or scdevelopment@littlesistersofthepoor.org. 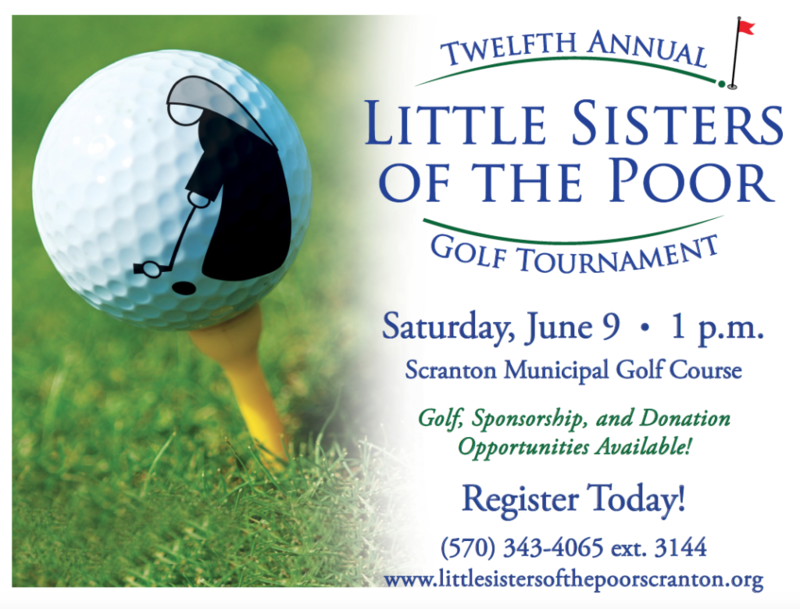 Golf registration is also available at www.littlesistersofthepoorscranton.org. All proceeds will be used to support the ministry of the Little Sisters of the Poor. Pictured are committee members: seated: Mother Theresa Louisa, l.s.p. ; Tournament Co-Chairman Gene Cosgrove; Tournament Co-Chairman Patrick J. Sheridan; and Sister Marie Therese, l.s.p. Standing: Carole Paswinski; Pete Kanton; Karen Caruso, development assistant; Tournament Co-Chairman Bob Blaker, maintenance director; Atty. Jerry Musheno; Jackie Galvin, director of development and communications, and Janet Skibinski.